Biography: Scott and Debra Johnson founded Getting Free & Living Free Ministries to train the Christian community to effectively handle the pressures, circumstances and relationships of life and to teach individuals the reality of the victory given to us through the exchanged life of Jesus Christ. 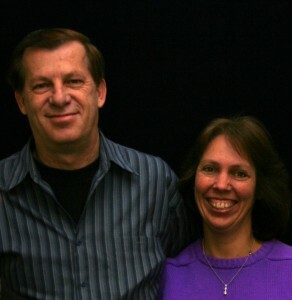 Since 1983, this couple has influenced their community and the nations by market place ministry, mission outreaches, teaching Bible studies, pastor's conferences, and seminars and writing books. Through every avenue they proclaim, "This fact remains, God never intended for His children to live in their own sufficiency, but in Christ sufficiency." The Johnsons have aligned themselves with FMIN to get the message of grace and freedom to the world. Their desire is "to find lost and hurting people and connect them to God and each other." Strengths: Scott and Debra both have teaching and writing gifts. They are also strong in equipping Christians with the tools they need to fulfill their God given destiny and purpose. Scott and Debra also have two adult children, Daniel and Jennifer, and one grandchild.